Making a basic website is still more complicated than it should be. That’s why Website Builders exists: to publish content for people who want to make a website the easiest way possible – using a website builder. There’s 480,000+ words of content published on the site. We acquired the domain in 2017 from John Napoletano, owner of Website Builders LLC. 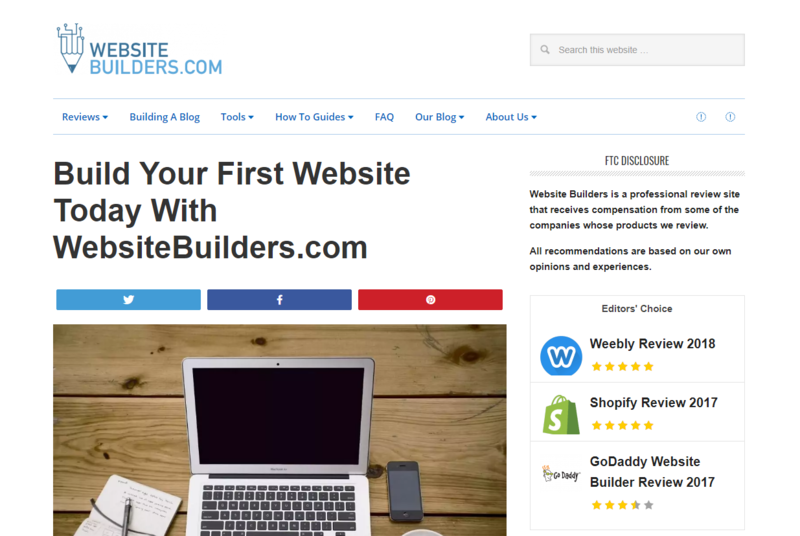 Our reviews show a behind-the-scenes look at website builders in action, and are written so that nearly anyone can understand them. The site is alo known for our extensive list of HTML character codes, and website glossary, both of which are useful for web development beginners. Despite being relatively new, several high profile sites have linked to various content on our site. Interested in working together? Get in touch with the WebsiteBuilders team by using the contact page on Website Builders.com.